Fine china covered jam jar made in Poland by Wawel. 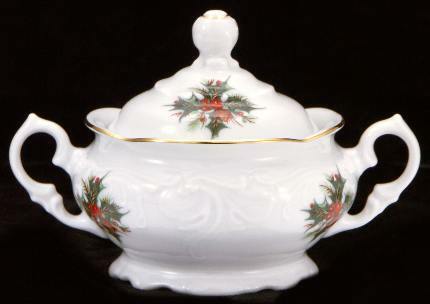 This beautiful little jar featuring the Christmas Berry pattern is perfect to hold your strawberry preserves or clotted cream. 5 fl. oz. capacity. Hand-painted with gold trim.